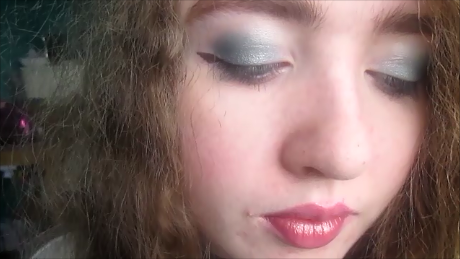 Today I'm back with another makeup tutorial except this time I'm breaking away from my comfort zone of purples and pinks, stepping into the zone of greens instead ! Generally I find greens - especially teal - quite difficult to pull off since I have blue eyes but I think I may have found a balance today with the rose gold lips ! As always, the video tutorial is above to watch but there is the text version below too ! 1. First I primed my eyes using concealer and applied a base eye shadow in a blue-toned white shade. 2. 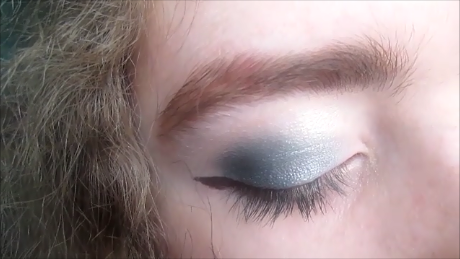 Next I went straight in using a navy blue eye shadow in my crease and outer lids blending the excess into the centre where I began applying a turquoise shade outwards. 3. I then went back to the crease and outer corners, applying a teal green and blending it into the navy. 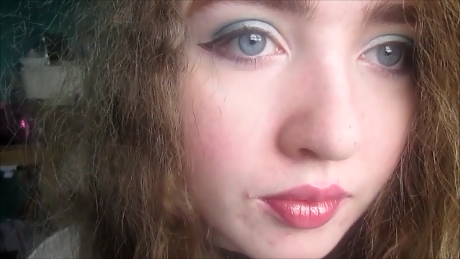 I also applied the same blue-toned white on the inner area of my lids so that my eyes would pop a bit more and I used the navy again, but this time on my lower lash line. After this, I used a makeup wipe to sharpen the edges and clean up the excess shadow surrounding them. 4. I completed the eye makeup with more-subtle-than-usual winged eye line, a light coat of mascara and by filling in the ends of my brows ! 5. I also attempted contouring in this look, applying the darker shade of bronze on the lower area of my cheeks followed by a lighter shade above it. I then took the blush shade and applied it above the bronze and used the highlighter shade below my under eye circles. 6. Finally I outlined my lips with a berry pencil and blended it into the centre as I didn't want any visible harsh lines since I applied a metallic bronze lip gloss over it. And above is our completed look ! I hope you enjoyed this post which was a little more daring than what I've been wearing in recent months. My next post will probably be a Transition Year one since apparently portfolio is due to be updated by this week - eek - so I will see you then !